Manaen S. ‘Robbie’ Robinson IV has been named a partner of Parsons & Robinson P.A. After working for years as an attorney with D. Stephen Parsons P.A., Manaen S. “Robbie” Robinson IV was recently made partner of the newly minted Parsons & Robinson P.A. “Robbie has been an important part of the office for many years. It is a pleasure to introduce him as my partner. He is an excellent attorney and such a great person,” said Parsons. Although his plan wasn’t always to go into law, per se, Robinson was interested in law before deciding to become an attorney. 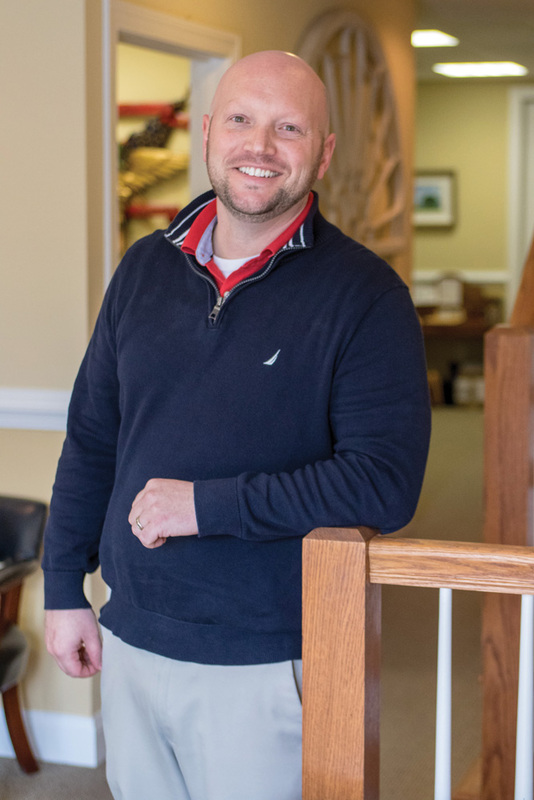 A life-long Sussex County resident, Robinson graduated from Indian River High School in 1999 and matriculated to the University of Delaware, where he studied criminal justice, graduating in 2003. He went on to receive his juris doctorate from Albany Law School in 2007. He took the Delaware Bar Examination and was admitted. He went on to work with Kim DeBonte, Esq., for whom he’d clerked during summers in law school. After five years with DeBonte, Robinson went on to work for Parsons. Now Parsons & Robinson P.A., the firm was established in 1982 and serves the lower Delaware area. Robinson, who lives in Dagsboro with his wife, Cara, and their three children, said it’s great to be practicing in the same community in which he grew up. “I really do enjoy helping people,” said Robinson. “Being able to assist people with estate planning so they feel comfortable that their families will be taken care of, or real estate transactions so that they have all the information that they need when purchasing a piece of property — that’s satisfying. Robinson said he’s proud to have been made a name partner in the firm. He said he hopes when looking for a firm to work with people in the community they consider Parsons & Robinson P.A. to represent them. Parsons & Robinson P.A. is located at 118 Atlantic Avenue, Suite #401, in Ocean View. For more information, call (302) 539-2220 or visit https://steve-parsons.net.